Art Primo Reviews by johnny cash - A Top 500 Reviewer! All the reviews by johnny cash - A Top 500 Reviewer! The purple and orange my dudes, purple and orange. 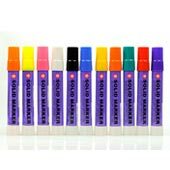 good stuff, especially for brick or any other hard surfaces that other markers cant write on.